THE place for Romano’s Macaroni Grill menu prices! Romano’s Macaroni Grill is a casual dining restaurant concept specializing in Italian-American dishes. Guests can select favorites from the main menu which include Fettuccine Alfredo, Chicken Parmesan, and artisan pizzas. Romano’s also offers a Lunch menu, 3-course meals, and a special kids menu. Looking to enjoy Romano’s Macaroni Grill earlier in the day? Why not stop in on the weekends for Romano’s Brunch. Served Saturday & Sunday between 11:00am-4:00pm. Nothing tops off a great Italian meal like a dessert. Sweet, mouth-watering selections to choose from. Be sure to plan ahead. Below are the latest Romano’s Macaroni Grill menu prices. The anti-flatbread, for crust lovers. Fat on crust. Fat on toppings. Baked in our brick over and served with arrabiata dipping sauce. 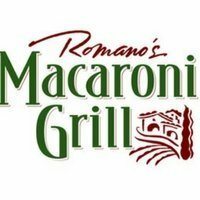 Fans of Romano’s Macaroni Grill can join the exclusive email club. By joining, members will be the first to know about any new dishes, promotions, or general news regarding Romano’s Macaroni Grill. Italians have yet to figure out how to pack and ship a delicious plate of Fettuccine Alfredo. Romano’s Macaroni Grill offers the next best thing- a gift card. Romano’s Macaroni Grill gift cards are a great way to show someone that you know the value of good tasting Italian food. Guests can order traditional gift cards and sent them by mail or guests can order Romano’s e-gift cards online and send them to recipient instantly. What’s better than a great dinner at Romano’s Macaroni Grill? Having a social event catered by Romano’s Macaroni Grill. The Romano’s Catering Representative will work with guests to make any event memorable. Along with the mouth-watering food dishes, Romano’s will provide table covers, flatware, serving utensils, napkins and disposable plates. Romano’s Macaroni Grill offers team members exceptional career growth opportunities in a fast-paced environment. Potential candidates interested in joining a leader in upscale Italian cuisine should visit the Careers page on the official Romano’s Macaroni Grill website. There, candidates can view current openings and learn about the complete benefits package offered by Romano’s Macaroni Grill. The first Romano’s Macaroni Grill was opened in 1988 by Philip J. Romano in Leon Springs, TX. Today, there are over 200 Romano’s Macaroni Grill locations worldwide locations including the US, Canada, Japan, Germany, Kuwait, and Bahrain. Romano’s Macaroni Grill is a wholly owned subsidiary of Redrock Partners LLC and is headquartered in Houston, TX. Romano’s Macaroni Grill is active on social media. Be sure to Like, Follow, and share on the various social media platforms. For more information about Romano’s Macaroni Grill, visit their official website. I think $7.00 is too much for a glass of tea. I went there on Sunday and the waiter didn’t bring me food until I reminded him the 3rd time. With no apology I felt completely disrespected and then he had a different waiter bring it out.